From kids' spills to pet hair, you want a vacuum that does it all. 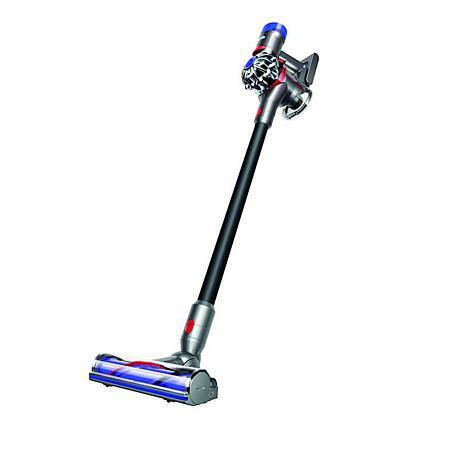 The Dyson V8 Motorhead has a powerful direct-drive cleaner head that removes ground-in dirt from carpets and effectively transitions to hard floors. For cleaning up high or in hard-to-reach places it quickly transforms to a handheld vacuum. And you'll appreciate HEPA filtration that captures allergens and expels cleaner air. Cleaning just got much easier. This product can expose you to chemicals including Diisononyl phthalate (DINP) which is known to the State of California to cause cancer and Di-isodecyl phthalate (DIDP) which is known to the State of California to cause birth defects or other reproductive harm. For more information go to www.P65Warnings.ca.gov. 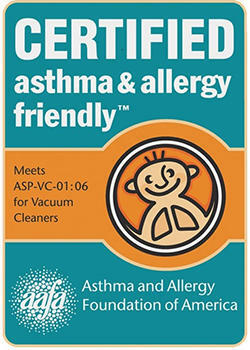 Certified asthma & allergy friendly by the Asthma and Allergy Foundation of America. 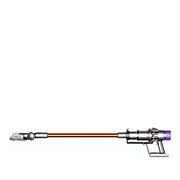 Dyson found that the average American vacuums 18 minutes per day. Max. Volume Capacity: Approx. 19.2 oz. Absolutely LOVE my new Dyson!! Just what Ive been looking for. I use this for daily quick cleanups of cat hair, cat litter and dirt and grass tracked in on shoes. No more sweeping daily. I still use my full size vacuum for deep weekly cleaning. PERFECT!! I have very bad back issues, so this has been a life saver for me. The only thing is, I wish it would run a little longer before having to recharge. That being said...I would buy it again!! No regrets... I have some of my family members hooked on it as well! Life changer!! This is quite the little work horse. I was hesitant to invest in this but it really does work to pick up any dirt and pet hair which I use it for the most. Love this dyson and so glad I went ahead and invested in this! Definitely recommend for someone with thick hair as well as furry pets, picks up all the hair haha! Remind me about Dyson upcoming shows.